In recent years, the world has seen a rise in the number of people displaced due to violence, conflict, environmental degradation, and economic hardship. These demographic shifts have re-focused interest and debate on the large-scale movement of refugees and migrants. This is the fifth instalment in a series of information briefs that aim to provide an overview of recent developments in the area of international migration. 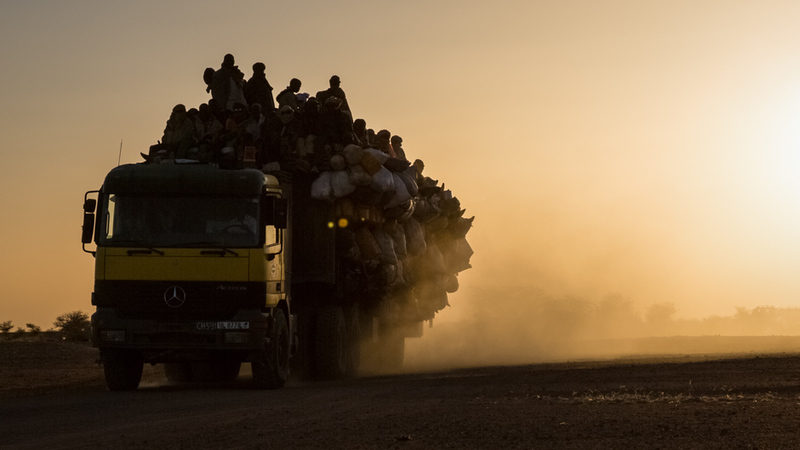 In an attempt to curb migration to Europe, EU leaders have continued diplomatic initiatives in Africa, intensifying negotiations with Ethiopia, Mali, Niger, Nigeria, and Senegal — all important countries of origin and transit. These deals are part of a larger EU strategy, which seeks to implement a Migration Partnership Framework in conjunction with aid deals with individual countries of origin or transit. The EU hopes to leverage policies and instruments, especially development and trade, to stem the flow of people to Europe. While current negotiations appear to be primarily directed towards Africa, there are also indications that steps are being taken to pursue a compact with Jordan and Lebanon. Some have highlighted, however, that the five countries that were promised aid deals often do not comply with the EU’s insistence on human rights. Although the full scope of the negotiations is not immediately clear, initial reports suggest that they are likely to be substantial. So far, the EU has set aside an overall contribution of EUR 1.8 billion for the EU Emergency Trust Fund for Africa, the primary financial tool the EU intends to use for addressing the root causes of migration in Africa. The trust fund covers a total of 23 countries in Africa. In addition to efforts being made through the Trust Fund, the EU is also pursuing individual deals with states. Senegal, for instance, will see an allocation of approximately EUR 347 million from 2014–2020 under the 11th European Development Fund which will at least partially be aimed at addressing irregular migration. In Ethiopia, the EU is funding approximately half of a USD 500 million initiative to increase employment opportunities for Ethiopians and refugees living in-country. The EU is dedicating significant resources towards a more aggressive migration agenda. On 12 September, funding intended for poor countries primarily in Eastern Europe was cut in favour of greater spending on addressing migration. Several weeks later on 6 October, the EU revamped Frontex, the EU organisation responsible for managing cooperation and implementation of EU rules on migration, by providing it with more power and resources, and renaming it the European Border and Coast Guard Agency. Despite these efforts, the relocation of refugees continues to be a contentious issue. Italian Prime Minister Matteo Renzi threatened to veto EU disbursements again if greater efforts were not made to relocate thousands of refugees from EU Member States. So far this year Italy has witnessed the arrival of close to 132,000 asylum seekers and migrants as of 30 September, of which less than 1,400 have been relocated. Renzi has regularly denounced a perceived lack of European solidarity over the past years and is currently seeking an expanded budget that would include some EUR 3.9 billion which would be dedicated to migration issues in 2017. Italy has been one of the main drivers behind EU-led efforts to create deals with African states to slow the flow of migrants. The Associated Press reported that the Australian Parliament is considering new legislation that would ban asylum seekers, who have unsuccessfully attempted to arrive by boat, from ever visiting the country again. Under the proposed legislation, thousands of asylum seekers would be barred from ever travelling to Australia as tourists, on business, or as an Australian’s spouse. Children seeking asylum would be exempt from the visa ban, as would some select individuals. The proposed legislation drew the ire of human rights activists, many of whom stated that the legislation could set a dangerous precedent and undermine the safety of asylum seekers. Representatives from the Office of the United Nations High Commissioner for Refugees (UNHCR) quickly expressed profound concern at Australia’s plan, with Thomas Albrecht, UNHCR’s regional representative in Canberra, noting that “seeking asylum is not ‘illegal’”. Others have argued that the plan may be a breach of Australia’s international legal obligations and could be ruled unconstitutional by the country’s high court. The new legislation would have a profound impact on asylum seekers currently being held in Australia’s immigration detention facilities on Manus Island and Nauru. Some see the legislation as a pre-emptive move to prevent these asylum seekers from resettling in Australia via another migration channel. This is occurring amid widespread criticism from the UN and organisations like Save the Children and Amnesty International which have stated that Australia has largely failed to protect the rights of asylum seekers, especially those of children. Last week, seven NGOs launched the Mixed Migration Platform to deliver analysis and policy recommendations to better understand mixed migration patterns in the Middle East. Funded by the UK and Switzerland, the platform provides protection-sensitive analysis of the security of refugees and migrants for governments and humanitarian organisations. The new platform will become a useful tool as the migrant and refugee population in the Middle East continues to grow. Research from the Pew Research Center shows that between 2005 and 2015 the number of migrants (including refugees) in the Middle East more than doubled from 25 million to 54 million. The surge in migrants has largely been driven by armed conflicts in Syria, Iraq, and Yemen, although many have also moved in search of greater economic opportunity, particularly to oil-rich Persian Gulf countries. In contrast to other regions, Asia has had a relatively muted response to the issue of the large movement of refugees and migrants. Katharine H.S. Moon at the Brookings Institute noted the relative absence of East Asian countries in accepting applications from asylum seekers and refugees. Japan and Korea have accepted only a small number of refugees. In 2015 Japan rejected more than 99 percent of asylum applications, while Korea has only accepted 600 non-ethnic Korean refugees as of September 2016. China has accepted relatively few asylum seekers and refugees, and continues to rely on UNHCR to process asylum claims and to determine refugee status. Even in cases when asylum seekers and refugees are in possession of UNHCR certificates, they occasionally face the risk of detention or arrest if they have entered the country unlawfully or have overstayed their visas. China also lacks the necessary national institutions for processing asylum claims, although the adoption of Law of Entry and Exit was an important first step towards national ownership of asylum process. According to an August 2015 UNHCR fact sheet, the Chinese government does not have an assistance programme for refugees. It is encouraging, however, that at the 19 September Summit for Refugees and Migrants, Premier Li Keqiang pledged an additional USD 100 million in humanitarian aid. While poorer countries in South-East Asia have appeared more open, asylum seekers and refugees face a host of challenges. Moon notes that as of June 2016, Malaysia was hosting 154,000 refugees and asylum seekers. But while South-East Asian countries have hosted large asylum seeker and refugee populations, the protection situation in many of them is less than ideal. Most South-East Asian countries, including Malaysia, Thailand, and Viet Nam, have not ratified the 1951 Refugee Convention, placing asylum seekers and refugees at continued risk of deportation. Many living in South-East Asia and China continue to face serious human rights violations, adding further protection concerns for migrants and refugees. UN Secretary-General Ban Ki-moon has appointed Izumi Nakamitsu of Japan as Special Adviser on Follow-up to the UN Summit on Addressing Large Movements of Refugees and Migrants, succeeding Karen AbuZyad who completed her assignment at the end of October. Ms. Nakamitsu will undertake these duties in conjunction to her current responsibilities as Assistant Secretary-General and Assistant Administrator for Crisis Response at the UN Development Programme. In addition, Ben Emmerson, the Special Rapporteur on the promotion and protection of human rights and fundamental freedoms while countering terrorism, recently presented his latest report at the UN General Assembly on the impact of counterterrorism measures on the human rights and protection of refugees and migrants. The report warns that overly-restrictive migration policies implemented out of fear of terrorism are not justified and may be damaging to state security in the long run and, crucially, the report highlights that there is little evidence to suggest that terrorists take advantage of refugee flows to commit acts of terrorism. The release of the report comes as the Global Migration Group (GMG) has begun discussing more closely the implementation of the New York Declaration for Refugees and Migrants, focusing in particular on how to counter xenophobia. A GMG meeting on 31 October, attended by senior members of international organisations such as UNHCR and the International Organization for Migration, reviewed best practice examples and discussed opportunities for joint action to counter xenophobia. States Continue Efforts to Stem Refugee and Migrant Flows by Bavo Stevens is licensed under a Creative Commons Attribution-NonCommercial-ShareAlike 4.0 International License. Bavo Stevens is a Junior Research Fellow at the UNU Institute on Globalization, Culture and Mobility. He holds a master’s degree in War Studies from King’s College, London and a bachelor’s degree in Political Science from the University of Chicago. His research interests include migration and forced displacement, civil-military relations, and the dynamics of violence during conflict.